This top notch hand axe makes a useful tool for taking on the undead and setting up camp, making it a great choice during the apocalypse. 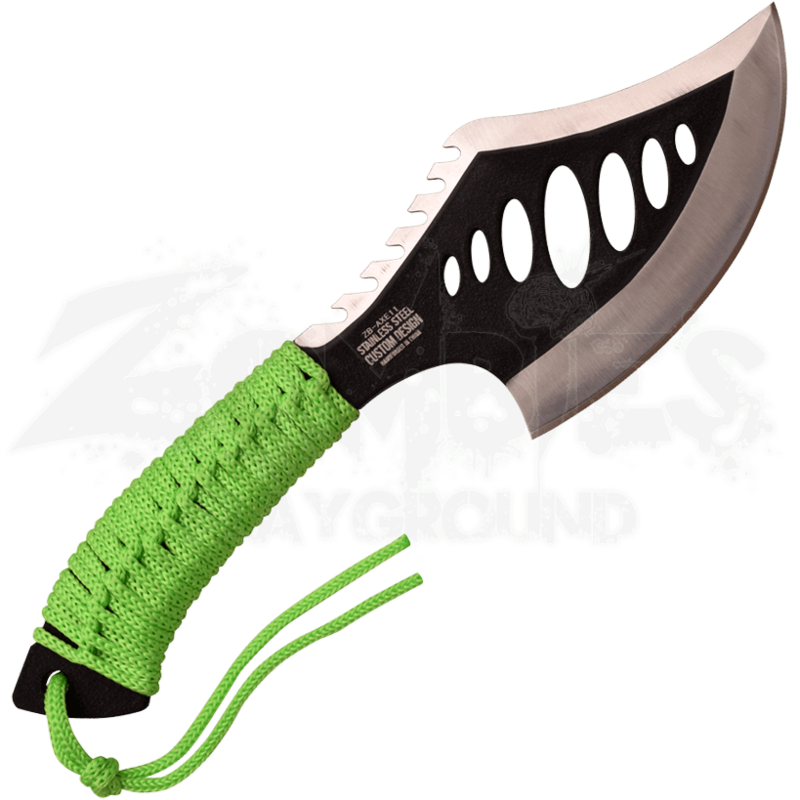 The Zombie Survival Hand Axe is small enough to be portable and large enough to be effective. This stainless steel axe features a rough black finish in the middle of the blade, showing silver along the edges. Thin oval cutouts appear across the blade, and a sawback runs along the back edge. 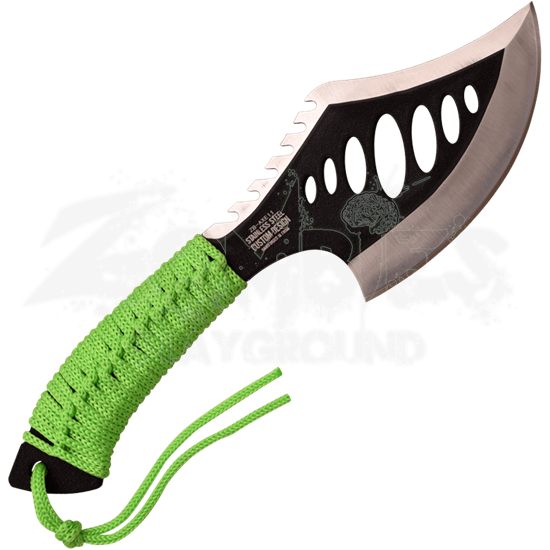 The handle of the functional hand axe is wrapped in bright green cord for a comfortable and sturdy grip. This steel axe comes with a nylon sheath for easy carrying and storage.